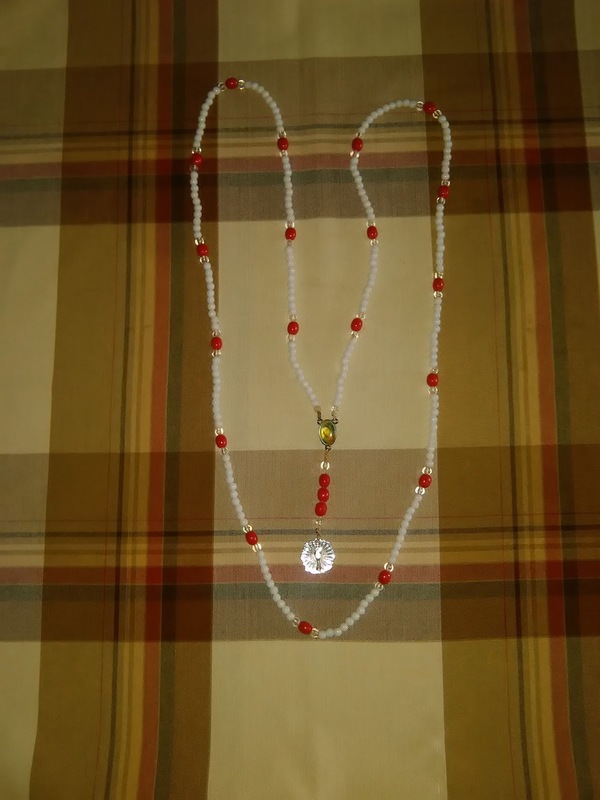 This is the current style of 1000's thank you rosary, hand crafted as made by the Assisi Sisters, it consists of 200 plus beads and they make 5 circuits to complete the 1000 thank you's. Friends who live overseas and would like to buy a single that is one Rosary from the Sisters, send a postal/money order to the value of 10 UK Pounds or 14 US Dollars and they will post one of these rosary's to you. You will be provided with a tracking number so you can follow the progress. 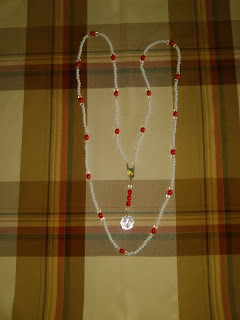 Here again if you prefer to go electronic then wait for about 10 to15 or so working days from today 2nd April and goto www.bidorbuy.co.za the vendor name will be "Prayer-apparel" you can purchase your rosary there.